Celebrate the new year with a SPLASH! Get an extra 300 Chope-Dollars when you make a reservation at any restaurant on Chope for dining dates between the 9th to 19th April using the promo code SPLASH (limited to 2 redemptions per user). 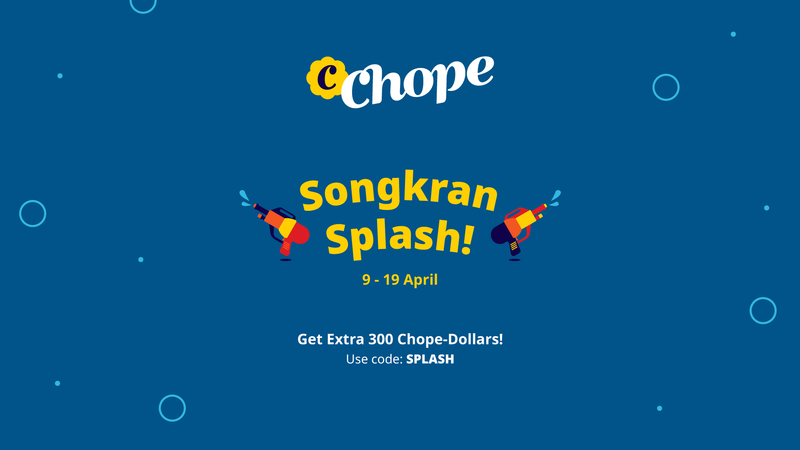 Earn Chope-Dollars and redeem them for rewards like ฿750 restaurant cash vouchers, ฿100 Starbucks e-coupons, ฿200 Happy Fresh discounts, ฿250 Shopee discounts, a copy of the Michelin guide, and much more. We’ve listed our 9 Most Popular Restaurants of 2019 below to get you started! Hungry for more? Check out our Chope Guides or our A-Z List for all restaurants. Follow us to never miss anything!